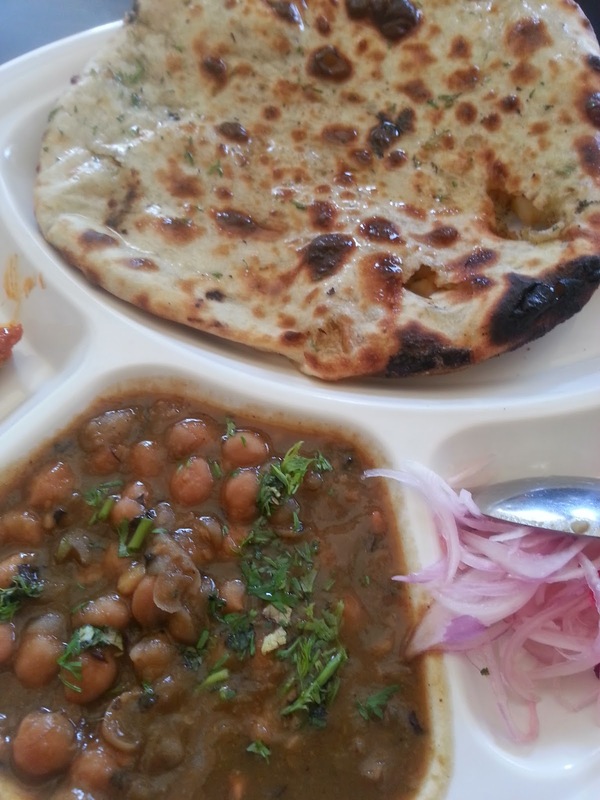 We're always on the look out for nice eateries in Navi Mumbai and when we heard of Singhland in Belapur we were eager to try it out. Simple fare like kulchas, chhole puri, aloo tikkis, rajma chawal and lassi have always been attractive but the nearest place to get these was Chembur Camp as far as we knew. There are many places that serve these dishes in Navi Mumbai but one always looks for that clean homemade sort of touch which is rare. Singhland was started by a friend I met on Facebook, a Punjabi gentleman, and I was looking forward to checking it out. The hubby had the day off today thanks to Mahashivratri. While the rest of the world lined up outside temples and shrines, we set off to pay obeisance to some good Punjabi food. We landed up a little early. Singhland opens at 11am but we were there around 10.30. We were met by Mrs Singh outside who said Harjinder was in the kitchen with his staff gearing up for the day. We sat down for a chat while our food was readied. 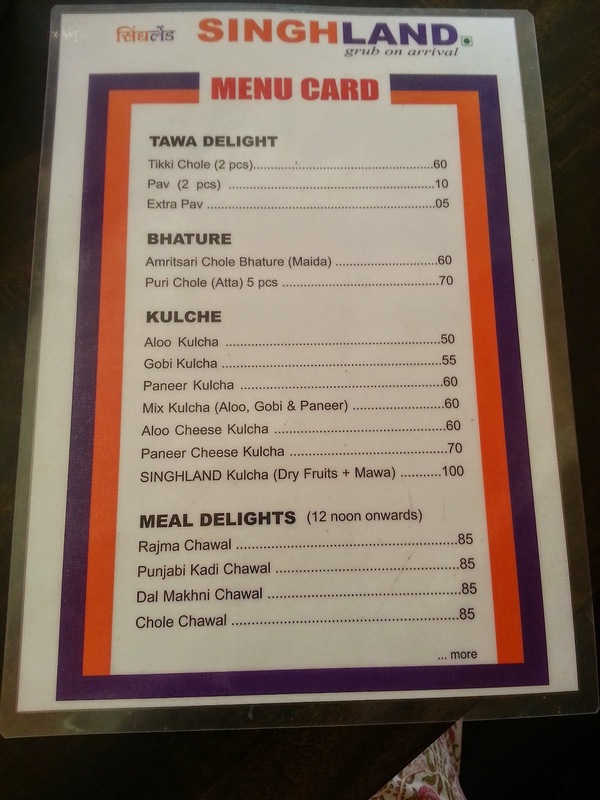 We asked for Tikki Chhole, and a couple of varieties of Kulchas. 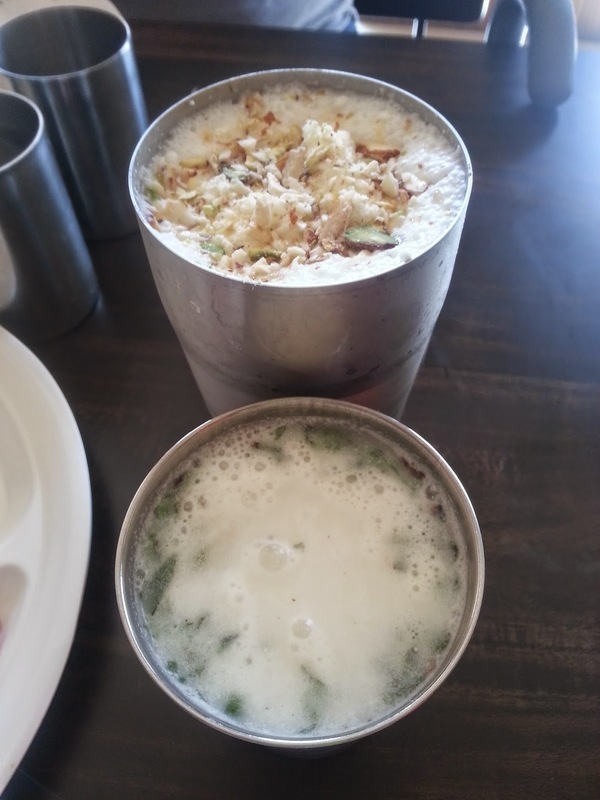 The hubby also called for a glass each of lassi and chaas. Hot stuffed kulchas fresh out of the tandoor are just heavenly and I have to say these have me hooked. The tikkis are freshly made with Mrs Singh personally supervising the kitchen. 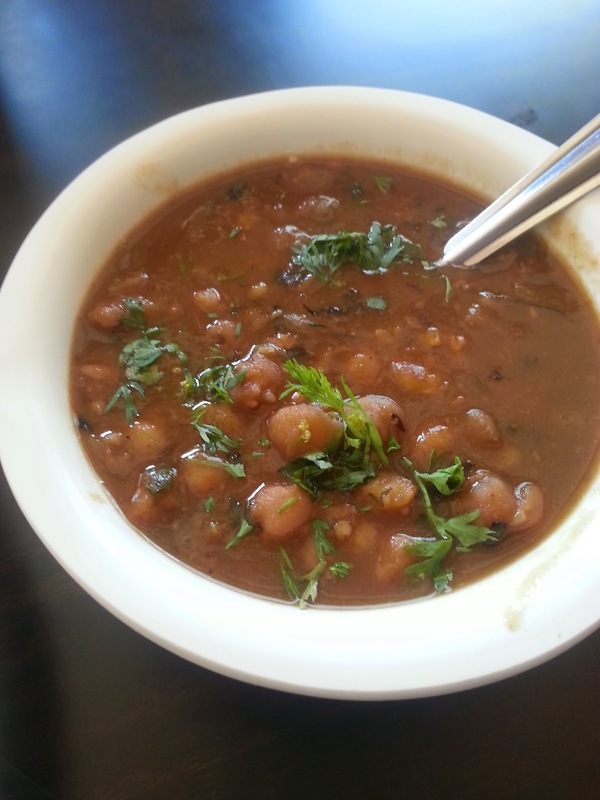 The chhole was soft and flavourful, the spices were not overwhelming at all. What I really liked is the fact that the food had simple clean flavours, and they don't go overboard with spices or oil. 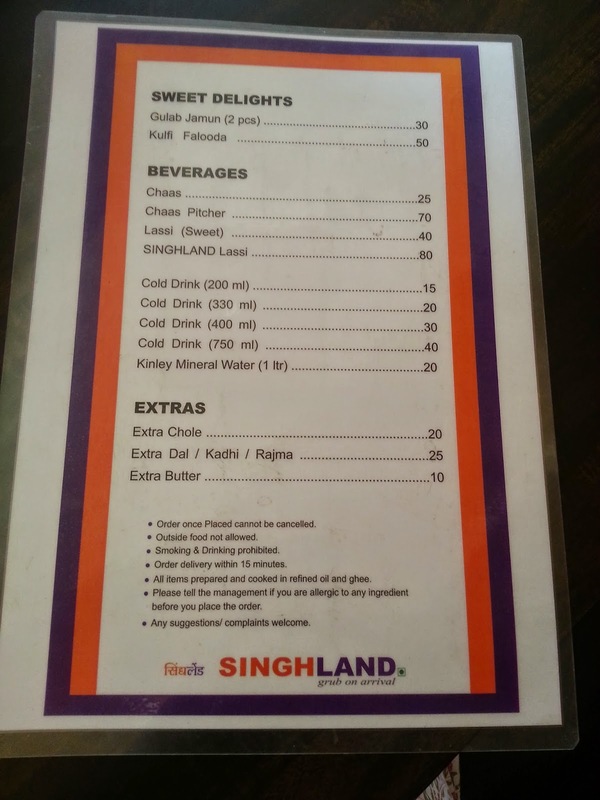 Singhland has a limited menu - there are kulchas, bhature, a few rice combinations, a couple of snacks like the tikkis, then there are a few drinks, and they have gulab jamuns and kulfi for dessert. I liked the fact that they've chosen to do a few things and do them really well. At present they only have a dine in service though they are planning to add a home delivery service soon. 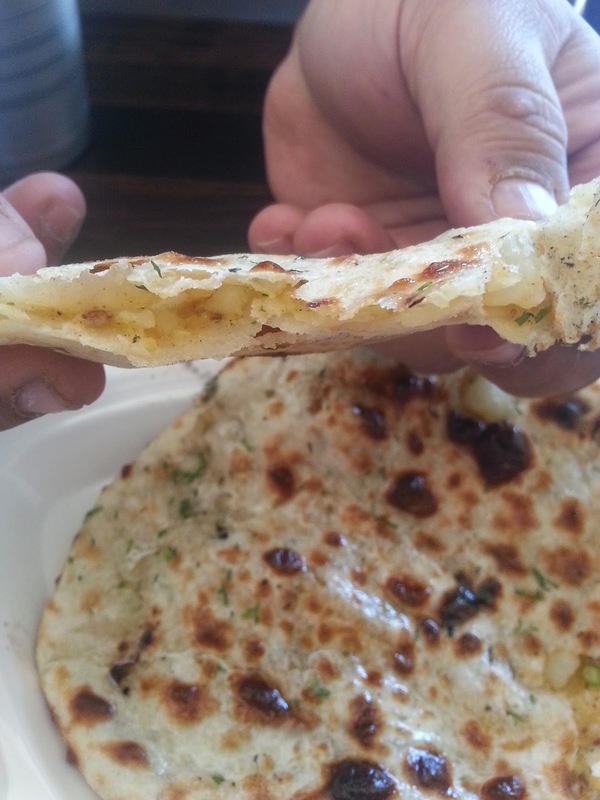 A well stuffed kulcha with chunks of potato, not a thin miserly layer of filling! 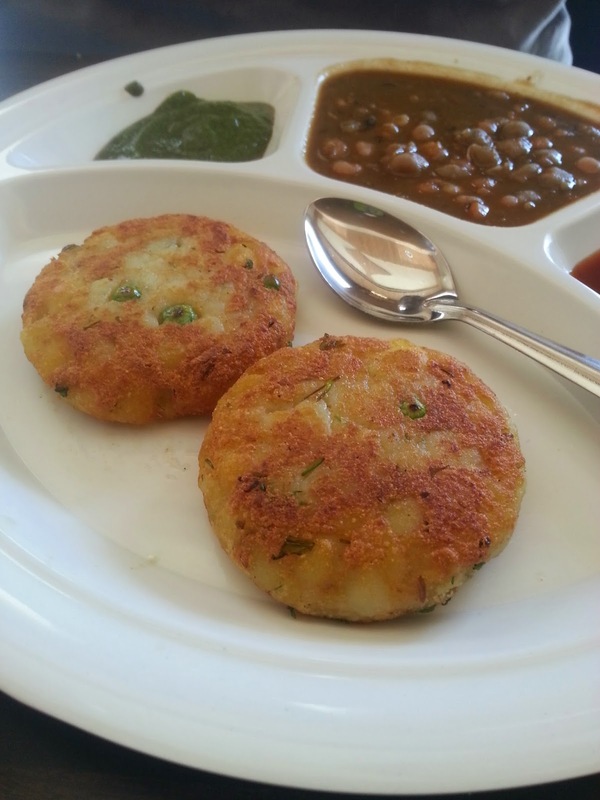 Singhland is located just outside the Belapur Railway Station in Balaji Bhavan, in line with CCD. A meal for two will cost less than Rs. 500 making it perfect for office goers in the area and also ideal for those days when you want to eat good desi khana without bankrupting yourself in the process. In fact, this is a great place to stop if you're doing a Mumbai - Pune or Lonavala run. A good change from McDonalds for sure!